With the vast growth in wearables and apps claiming they help determine “sleep quality”, combined with a growing public movement led by celebrities such as Arianna Huffington, sleep is finally being recognized as an major part of our health and wellness. Beyond just the health implications, we all understand, intuitively, that a bad night of sleep impairs our activities of the following day. Recent studies have actually tried to quantify how sleep impacts someone’s performance at work. In other words, how much does a bad night of sleep cost in worker productivity? An analysis initially presented by Harvard Medical School (“The Price of Fatigue” 2010) and further augmented by work of Optum, a UnitedHealthGroup associated company, (“Fighting the Epidemic of Fatigue: Treating sleep as a critical Part of Health and Wellness” 2015) had a number of interesting findings. First, the economic cost of moderate and severe obstructive sleep apnea (OSA), the most common sleep disorder, to society ($65-165B in 2010 dollars) is greater than that of asthma, heart failure, stroke and hypertension ($20-80B). Of this, up to $15B cost is just lost worker productivity. Employees with untreated sleep apnea were 6x more likely to miss a full day of work and 5x more likely to miss a partial day. 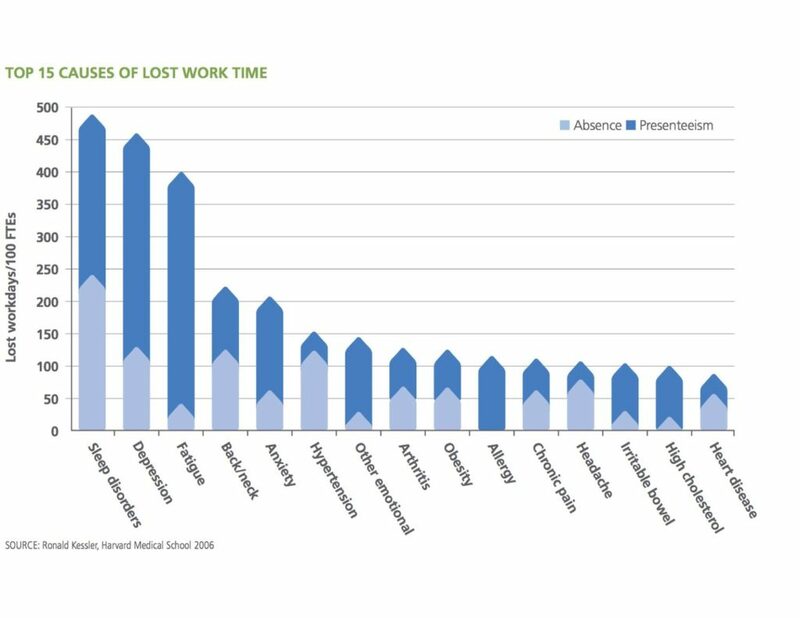 The decrease in productivity leads to 11.3 days of lost work per year. An additional $20B of cost is related to workplace accidents, independent of medical and traffic accident costs. Nonetheless, OSA receives very little public attention even though it is on the same scale in cost, for example with accidents, as the costs associated with safety threats like drunk driving. Optum suggests that employers treat sleep as one of the three pillars of employee health, on an equal footing with nutrition and exercise. 2. Decreased productivity – scientific studies have suggested $63B in lost productivity in the US workforce alone, or $2,280 per worker each year. 3. Increased direct health care costs – one study estimates that it costs up to $3,200 additional in direct and indirect health care costs for works with sleep disorders (this is particularly prominent in OSA as sleep apnea is often found to worsen many other chronic diseases such as diabetes, obesity, hypertension, heart failure, etc). 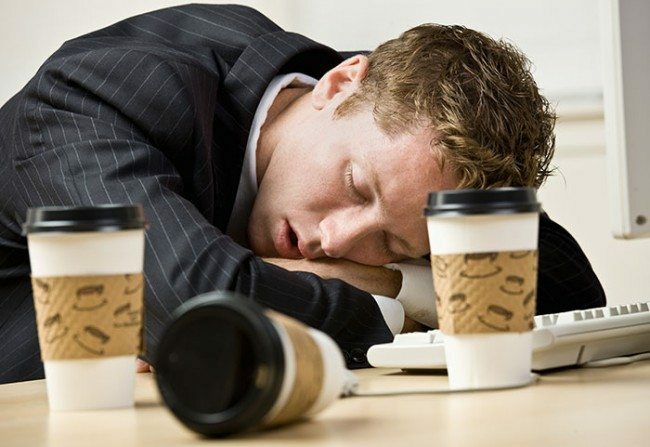 There are a number of possible solutions to improve this issue but all start with awareness of sleep as important to wellness, coupled with the screening for, diagnosis of, and management of sleep disorders in employees. Not only can it lead to direct cost benefits in worker productivity, but a happier, healthier and safer group of employees.